1921 – 2017 or thereabouts. 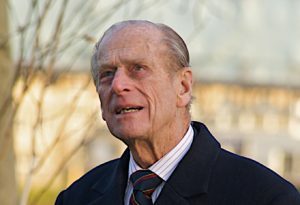 Prince Philip, Duke of Edinburgh, husband of the Queen, and member of the House of Schleswig-Holstein-Sonderburg-Glücksburg has passed away this morning at age 95. And if he hasn’t, that’ll be true soon enough anyway, so just bookmark this page and pull it back up when that happens. Philip reportedly suffered a heart attack while looking at a common pheasant on the grounds of Buckingham Palace at sunset last night, Greenwich Mean Time, and died in hospital hours later. Speculation about his passing has run rampant throughout the night, with conflicting messages being sent to different news agencies, reportedly as a result of a common and long-standing issue where palace servants have been routinely unable to tell whether or not Philip is alive. While TVNZ, NZME and Fairfax are all reporting that Philip is – as far as anyone is aware – alive and well, we are reporting that he has died. We may be called wrong, inaccurate, and even irresponsible for doing so, but we believe, in time, the ultimate course of events will bear out the truth, and sometime in the future, however long it may take, we will be proven correct. Prince Philip married now-Queen Elizabeth II on November 20th, 1947, and has been at her side ever since. No doubt she will hear of his passing. An avid sports enthusiast, Prince Philip helped to develop the equestrian event of advanced carriage driving, which is like normal carriage driving, but with the inclusion of yelling ethnic slurs at those you pass by. He was the longest-serving consort of a British monarch, and the oldest-ever male member of the British royal family. He is survived by four children, eight grandchildren, five great-grandchildren, and seven lizards.